FAYETTEVILLE, Ark. – Two new studies by University of Arkansas researchers bolster the case for some types of life being able to survive the harsh conditions found on Mars. 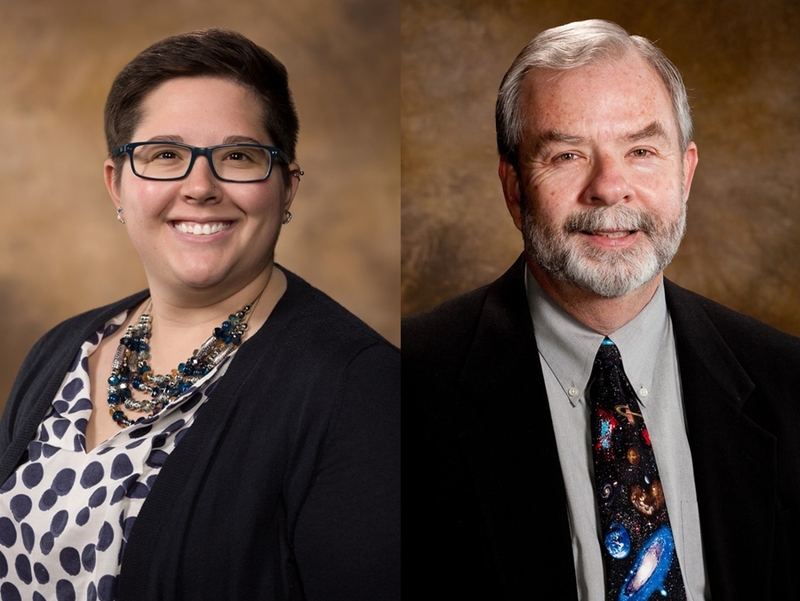 Rebecca Mickol, a former graduate student at the Arkansas Center for Space and Planetary Sciences who is now doing post-doctoral research at the Naval Research Laboratory in Washington, D.C., and Tim Kral, a professor of biological sciences and a charter member of the Arkansas Center for Space and Planetary Sciences, conducted the research. Their work was published in the journal Planetary and Space Science. Mickol and Kral based their studies on methanogens, methane-producing microorganisms that are common on earth. Methanogens are of interest to scientists studying the possibility of life on Mars because methane has been detected on Mars. On Earth, many methanogens can survive extreme conditions, from geothermal vents on the sea floor to Arctic permafrost. Scientists have long believed that methanogens might also thrive on Mars. The results indicate that methanogens could survive on Mars as it exists today, or may have thrived there in the past when the planet was likely warmer and wetter, “making them ideal candidates for extinct or extant life on Mars,” the researchers wrote. In a second experiment, Mickol and Kral subjected three species of methanogens to atmospheric pressures of 50 and 100 millibar, a range that could exist below the surface of Mars. Atmospheric pressure at the surface of Mars averages about 7 millibar, while sea-level pressure on Earth averages 1013 millibar, or about 14.7 pounds per square inch. One of the three species in the study actively grew at 50 millibar, while the other two survived their exposure and actively grew again after the experiment. “These experiments suggest that low-pressure environments on Mars may not be lethal to certain species of methanogens and increase the possibility of a habitable subsurface environment on the planet,” the paper states. The research was partially funded by grants from NASA, the Arkansas Space Grant Consortium and the National Science Foundation.